Scienmag - Science news and articles on health, environment, global warming, stem cells, bird flu, autism, nanotechnology, dinosaurs, evolution -- the latest discoveries in astronomy, anthropology, biology, chemistry, climate & bioengineering, computers, engineering ; medicine, math, physics, psychology, technology, and more from the world's leading research centers universities. Bird Protection and Monitoring Lab was established at the Yelabuga Institute in 2014. 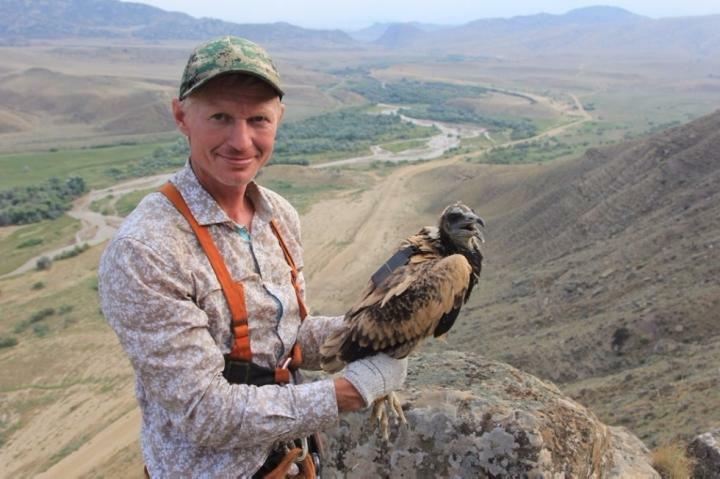 Its head is Rinur Bekmansurov, member of the Russian Bird Conservation Union, coordinator of the ringing of raptors at the Russian Raptor Research and Conservation Network, member of the Tatarstan Red Book Commission. "In May and June we conducted nest monitoring of white-tailed eagles in Chuvashia, Udmurtia, and Tatarstan. In Udmurtia we placed color rings on eagles. This color scheme was assigned specifically for the Upper and Middle Kama region and was implemented for the first time", said he. The research team managed to make an urgent platforming experiment in the Volga-Kama Reserve. A tree with an eagle nest fell over, and two nestlings were in danger. An artificial nest with a wooden platform was quickly constructed on a nearby tree, and young birds were placed there. Further checks showed that nesting was successful, and the younglings soon left the nest. In June the Lab participated in creating the second Atlas of Nesting Birds of Europe. A 50×50 square kilometers area in Orenburg Oblast and Tatarstan was scanned by the group. The Atlas publication is scheduled for 2020. It's tentatively priced at 100 euros. July and early August were dedicated to nest monitoring of imperial eagles. About 100 known and new plots were monitored in Tatarstan. As Dr. Bekmansurov shared, this year's weather influenced the reproduction of eagles. Only 56 nests sustained successful reproduction, none of them with more than two younglings. Some of the birds were ringed as well. &laquoThe ringing is aimed at monitoring and identifying birds in nature. Thanks to it we have found out that many young birds die in their native areas and during migrations. The main reasons are anthropogenic influence and people themselves. Hopefully, in the following years we will receive information about Tatarstani eagles from the Middle East and Africa», said Dr. Bekmansurov. In July Russian Raptor Research and Monitoring Network experts visited the Dagestan Reserve. A four-day trip resulted in GPS markings and ringings of four young vultures. The tracking will help identify migration routes and winter stays. This is the first such vulture study in Russia. Finally, in August the Lab researched black kites, mostly near landfill sites in Tatarstan. Molted feathers were collected for further genetic studies. The project is handled jointly by Russian Raptor Network, RAS Institute of Molecular and Cell Biology, RAS Institute of Developmental Biology, and Sibecocenter LLC. © 2019 - Scienmag: Latest Science and Health News. All Rights Reserved.